If you are planning an upcoming party for your daughters, selecting a theme can sometimes be difficult. It seems like you either can’t come up with any good ideas, or there are too many to decide between. Here are some party ideas for girls to consider if you the party planner for the upcoming festivities. While most of this article is focused on the traditional “girl” parties, that doesn’t mean those are your only options. If your daughter is interested in super heroes, pirates, birds, the ocean or camping, you can plan a party around those interests and they will love it. It seems as though at some point in a young girls life, she will be enchanted with the idea of becoming a princess. That puts a princess party at the very top of the list of party ideas for girls. Some girls move quickly through this phase, and others will want to be a princess for several years. If your girls are still in this stage, they would love a princess party, complete with background music inspired by princesses. You can even take this a step further and make the focus of the party about specific princesses. Characters from Disney movies are always popular, and if you pick a movie that has many different characters, you can incorporate the princesses, as well as Olaf from Frozen or Sebastian from The Little Mermaid. Another popular item on the list of party ideas for girls is having a “grown up” tea party. 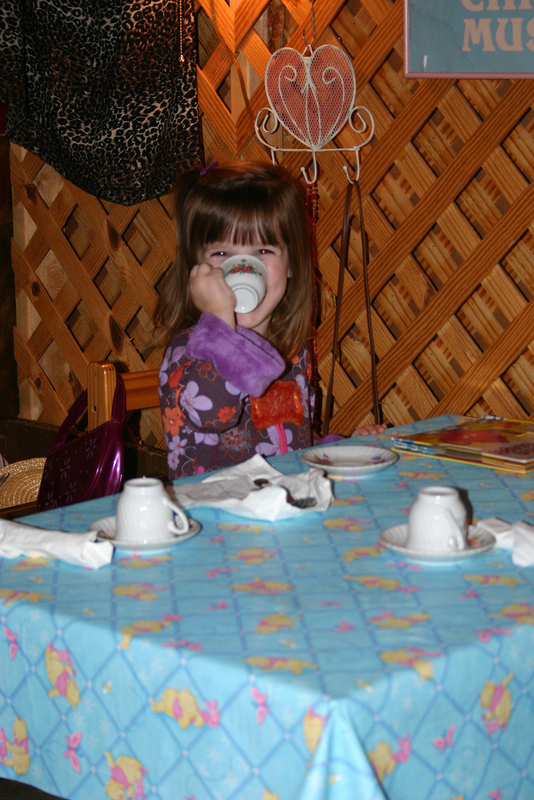 Many girls would love to attend a party that is a real life tea party. If you are brave, you could even use the “good” china dishes, if they are durable enough to be safe with the little kids for a short time. If there is anything little girls love more than princesses, it’s being able to do things that grownups do. That means using a party theme around a spa day is sure to be a big hit. Of course, it doesn’t have to include a real spa-type of experience, but you can certainly have “play” facials and let them paint their finger and toenails. You can even talk to a few of the parents before the party and enlist their help to give the “manicures” and “pedicures”. The girls will love it. Here are some great music tracks you can play in the background for your spa day. Another favorite on the list of party themes for girls is the idea of being a ballerina, so planning a party that allows them to become part of that world is another popular idea. The theme and colors could all be light pink, and you can let the girls dress in their dance tutu’s for the festivities. Here are some great ambient music tracks inspired by the ballet that will help you create the proper atmosphere. If none of the above party ideas for girls seems to be a good match for your daughter, you might try to plan a party around cute insects. Little girls seem to love to be surrounded by things like ladybugs, butterflies, and even caterpillars. ‹ Should You Have Music at Work?